Outstanding research profile: top 10 UK Modern Languages department for research quality and top in London (REF, 2014). Numerous opportunities for intellectual discussion including our regular research forum, which meets to discuss papers by research students and staff; research seminars and lectures delivered by staff and visiting scholars; and an annual Postgraduate Colloquium where research students present papers to renowned keynote speakers and visiting scholars. A close-knit international community based in our beautiful historic campus, and within easy reach of London, and all of the of the libraries, talks and facilities that it has to offer. Theories of Literature and Visual Culture is assessed by an essay and presentation. The dissertation is examined by a Visiting Examiner and includes a viva voce. On graduating you will have a proven ability to undertake focused research, improved your written and oral presentation skills, and honed skills in critical analysis. In addition, you will have an understanding and a critical awareness of current problems and/or new insights in literature, film, cultural studies or the visual arts. All of the these skills will be appealing to employers and enable you to pursue your chosen career. Alternatively, you will also be in a strong position to continue onto doctoral study, having demonstrated that you have the self direction, originality and initiative required. In recent years a number of our Modern Languages, Literature and Culture postgraduates have gone on to successful academic careers both in Britain and internationally in the fields of modern languages, critical theory and film. Postgraduates have also embarked upon many interesting and successful careers outside academia – in the UK, continental Europe and the United States – including journalism at The Independent, work for NGOs, trade sales, publishing, professional translating, teaching, opera direction, museum curatorship, creative arts, and librarianship. 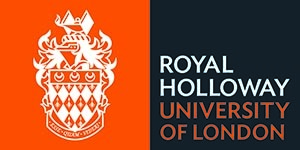 Visit the Hispanic Studies (by Research) - MA page on the Royal Holloway, University of London website for more details!